It sure is a lot of work to put on the annual bike walk summit, but, after another inspiring and energizing event, it’s clearly worth the effort. Approximately 120 people gathered in Kroon Hall at Yale on a beautiful November day in 2011 to listen to, learn from and question an impressive array of speakers, including Andy Clarke, President of the League of American Bicyclists, State Senator Martin Looney, State Representatives Roland Lemar and Phil Miller and Tom Condon of The Hartford Courant. Andy inspired and challenged all of us to continue to believe in and work for the changes to our states and communities that we all know will make them better. One of the most popular sessions featured people from around Connecticut who described what they are doing in their areas to create a more bike and walk friendly environment. Some of the tools being used are regional councils, town surveys and affiliating with tourism organizations. The addition of bike and walk tours got a big thumbs up with almost 50 people taking part. Bike Walk CT and the Summit Planning Committee appreciate all who spent the day with us and hope you left with a renewed determination, buoyed by what you learned and heartened by the knowledge that you have many friends and allies around Connecticut to call on for advice and support. Space is limited to 175 participants. $20 Bike Walk CT members. 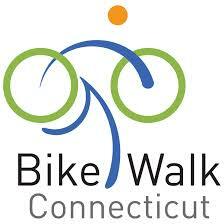 Join Bike Walk CT, get $10 off!